A number of victims were found in compromising circumstances. How did this happen? Can you solve the mysteries? Want to learn more about proteins, DNA, and RNA? 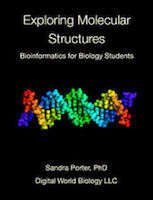 You can find this hands-on investigation and more in Exploring Molecular Structures. To view the collection, you will need to download and install the iPad version of Molecule World. This file contains all the molecular murder mystery structures. How many can you solve? Download the entire collection at once by selecting the mwc file. Open the collection in Molecule World. Cytochrome C oxidase in a fully reduced form. Cytochrome C oxidase in a fully oxidized form. Aidan Cytochrome C oxidase. This file contains half of the complete structure. Boris' Cytochrome C oxidase. This file contains half of the complete structure. Charlotte's Cytochrome C oxidase. This file contains half of the complete structure. George's Cytochrome C oxidase. This file contains half of the complete structure. Glen's Cytochrome C oxidase. This file contains half of the complete structure. Kim's Cytochrome C oxidase. This file contains the complete structure. Melissa's Cytochrome C oxidase. This file contains half of the complete structure. Richard's Cytochrome C oxidase. This file contains half of the complete structure. Samantha's Cytochrome C oxidase. This file contains half of the complete structure. Spike's Cytochrome C oxidase. This file contains a complete structure. Sylvia's Cytochrome C oxidase. This file contains half of the complete structure. Willow's Cytochrome C oxidase. This file contains half of the complete structure.